Best Traditional Steam Sauna - Relax at Home After Work Revealed! The best traditional steam sauna can be easily found in Finland where the first ever recorded evidence on saunas dates back to 1112. Saunas play a significant part of the country’s culture until today. In fact, it is a common form of courtesy, so it is not surprising that saunas are not just an intimate place for personal relaxation but can also be a setting for business meetings. Finland has an estimated number of 2 million saunas for a population of 5.3 million. However, you no longer have to travel to Finland to get the best and most authentic experience as you can already have this extremely relaxing and health-boosting installation in the comforts of your own home. 5 What to look for in a sauna? There are currently different types of saunas available in the market: portable steam sauna, steam shower, and outdoor sauna. All of them works similarly; they heat up a room to a certain temperature, usually around 110℉ to 190℉. Some of the traditional saunas are heated by wood being burned in a stove. The burnt wood is then placed inside a room, allowing the ember to heat the room. It can help with mental fatigue or stress. Sauna rooms, or also known as dry rooms, can help lower stress. Being in an environment which temperature is higher than usual creates heat stress to the body; thus, it releases dynorphin. To counter that, the brain activates the production of endorphins, a type of chemical that creates a positive feeling to the body. It increases blood flow and relaxes the muscle. As the body releases endorphins, this gives the body a tranquilizing effect. The heat from the sauna increases the body’s core temperature. This causes the blood vessels to dilate, which increases the blood flow. This also speeds up the natural healing effect of our body. Countless studies and personal testimonials have proven that a regular foot massage can improve your blood circulation, as it can target all the congested areas that may have blocked your blood flow. Read more: Reviews of the Best Foot Massager, Plus Astounding Benefits! It gives you a healthier complexion. When you produce sweat because of the steam, it opens up your pores. Sweating removes the bacteria from the upper layer of the skin and the sweat ducts, which makes the skin soft and glowing. It induces better and deeper sleep. Because of the high temperature in the sauna, the sudden drop in temperature in the environment, especially at night, reduces the endorphins being released, creating a calming effect to the body. Because of this, you will have a better sleeping experience. The major organ for detoxification is the skin. Numerous studies have been published that clearly showed the relationship between frequent sweating and detoxification. Another study showed significant reduction of symptoms of chronic illnesses caused by methamphetamine exposure of police officers after regular sauna sessions. Sauna aiding weight loss has been a subject of debates and discussions among skeptics and sauna users, for a good reason. Yes, it does help with weight loss, but only to a certain extent. Overheating causes the body to work harder as it tries to regulate the body’s temperature, thus the sweat. A well-hydrated body effectively eliminates excess water; however, the increased salt percentage in the body causes water retention in the cells, resulting in water weight gain. Sweating helps shed this excess salt. Other health benefits claimed for using sauna are boosting the body’s metabolism and assisting in muscle growth, but there few to no evidence to support these claims. Lastly, there is the concern on athlete’s foot. Some claim that using a sauna can cause athlete’s foot; however, this is more on if the room is cleaned properly on a regular basis and not by the use of the room itself. Rehydrate after use since you lost a lot of water through sweating. It is also recommended to stay no longer than 15 to 20 minutes. Take a cold shower before and after using a sauna. This removes the sweat and helps your body relax with the sudden temperature change. Do not wear any jewelry or bring electronics gadgets. The jewelry may heat up and burn the skin, and the electronic gadgets may get issues due to the heat and steam. Do not eat or drink alcohol before going in. This will cause the blood pressure to drop, which might cause nausea. What to look for in a sauna? Indoor saunas are typically located near the bathroom of the home. It doesn’t require proper insulation but requires proper ventilation. Outdoor saunas are typically located near the pool or garden. It requires proper insulation and foundation, on top of power connection and water supply fixings. Currently, there are two major types of saunas: the traditional saunas and infrared saunas. The heat in a traditional dry-wet sauna comes from either an electric or a wood heat source. Infrared saunas are relatively new with two types, namely carbon far infrared and ceramic far infrared. Carbon panels can bring the temperature up to 140℉ in 10 minutes, but the ceramic panels can deliver a long-lasting heat as compared to carbon panels. 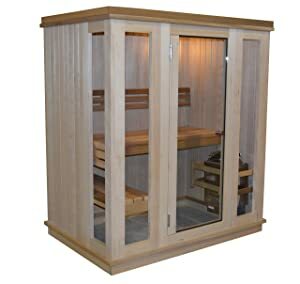 These features make these type of saunas more affordable to operate than traditional saunas. Modern saunas have moved way past from its wooden origin. A modern-day traditional sauna steam room uses electricity by heating a basket of rocks. Moisture and temperature can be raised by sprinkling water over the rocks; however, it takes 20 to 35 minutes to heat. Its counterpart uses a heating element that radiates heat and takes lesser time to heat up the place. Sauna interiors are made of softwoods that absorb steam and remain cool, making the room cozy and comfortable. Hemlock, a light-colored hardwood and is naturally stain-resistant, is a good choice for people with allergies since it’s less aromatic. Cedar, long-lasting and aromatic, is naturally resistant to insects, which makes this material a good option for an outdoor home steam sauna. Aspen is usually used for indoor saunas because of its affordability. This is an indoor-type sauna which can comfortably fit three people. The multi-level seating makes it a good place for social interactions or a solo relaxation. It has a Nordic spruce wood finish. 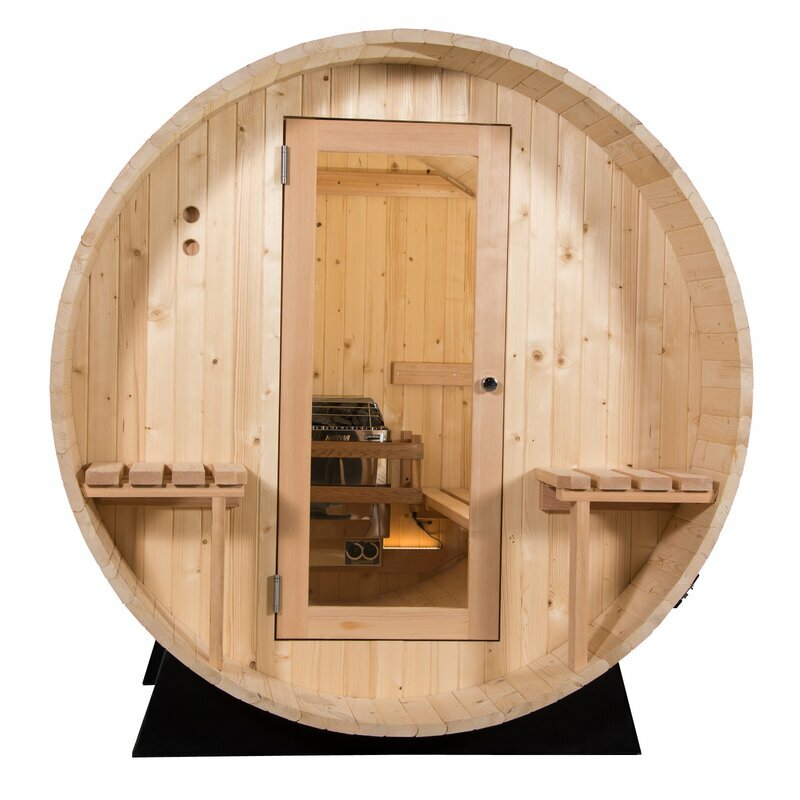 Though this is an indoor sauna, among all others, this is the most portable because of its size. It uses an electric heater, which is common for a traditional sauna. It can accommodate three people in total. It has a full-length bench and shorter bench for multi-level seating. It uses a standard power outlet. It has a weak heater, which takes a longer time for the place to heat up. This is another indoor-type sauna that uses an electric heater. Finished with a natural red cedar wood, it comes with a large front door and glass panel. Though claimed to seat up to three people, it can only accommodate two people comfortably. This also comes with a bluetooth connection, which allows you to connect your music devices to the built-in speaker. It comes with a built-in timer, reading lamp, and speakers. The touchscreen controls with an FM radio and Bluetooth connection. It has fewer sitting capacity. It does not use a standard outlet. Though this sauna can be used either indoors or outdoors, the barrel design makes it more usable outdoors, which brings an even more authentic feeling. It has a comfortable seating capacity for six people with a small place for your belongings outside the door. This sauna has a nordic spruce wood finish and also uses an electric heater. Among other products reviewed, this is the easiest to clean. This is the most spacious of all the products reviewed on this list. It is a durable outdoor sauna. It features two-opposite facing benches. It has a dedicated space for small personal items. It needs a lot of space. It is the most expensive of the five reviewed products. This does not use a standard outlet. 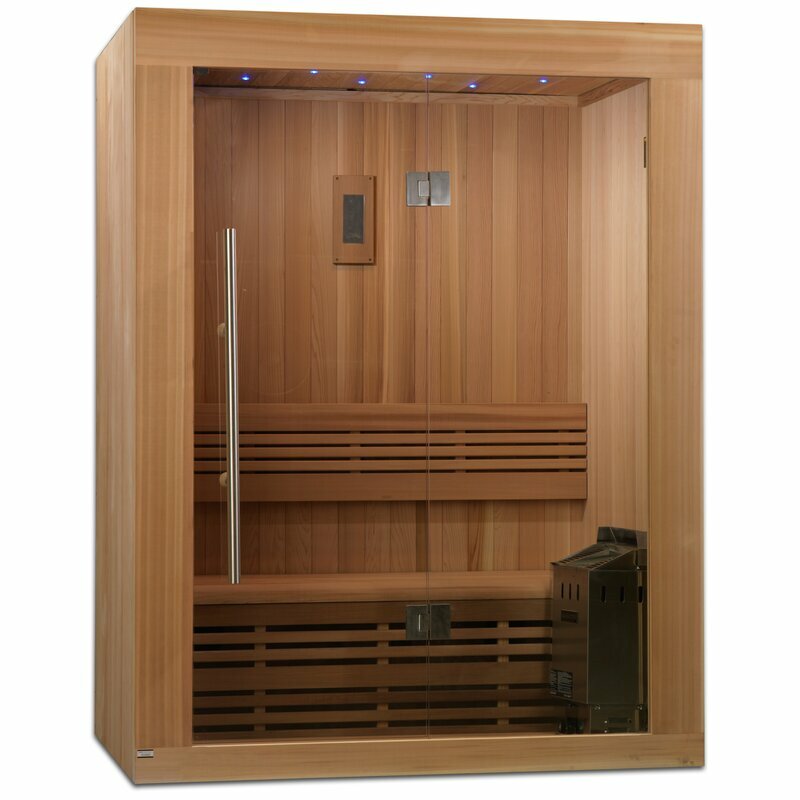 This is a traditional-style steam sauna that comes with an electric heater and is finished with a natural red cedar wood. This can seat up to six people. This also comes with bluetooth speakers and an FM radio to add music to your relaxation experience. You can bring a book to read since it also has a built-in reading lamp. It has a built-in reading lamp and speakers. It comes with touchscreen controls with FM radio and bluetooth connection. There is a two multi-level seating bench included in a single purchase. It is a bit pricey for its regular features. This is the only reviewed product that is manufactured from Finland, and it has a beautiful natural spruce wood finish. Just like most traditional saunas, it uses an electric heater. This is the smallest of all, making it easy to be fitted indoors. It has a glass door, but the front panel is made of wood. It has a simple design, which may be interpreted as cheap. It is manufactured in Finland. It can be easily fitted in small rooms. Only two people can use it at a time. It is a bit overpriced for its features and design. These five best traditional steam saunas are available on the market right now. 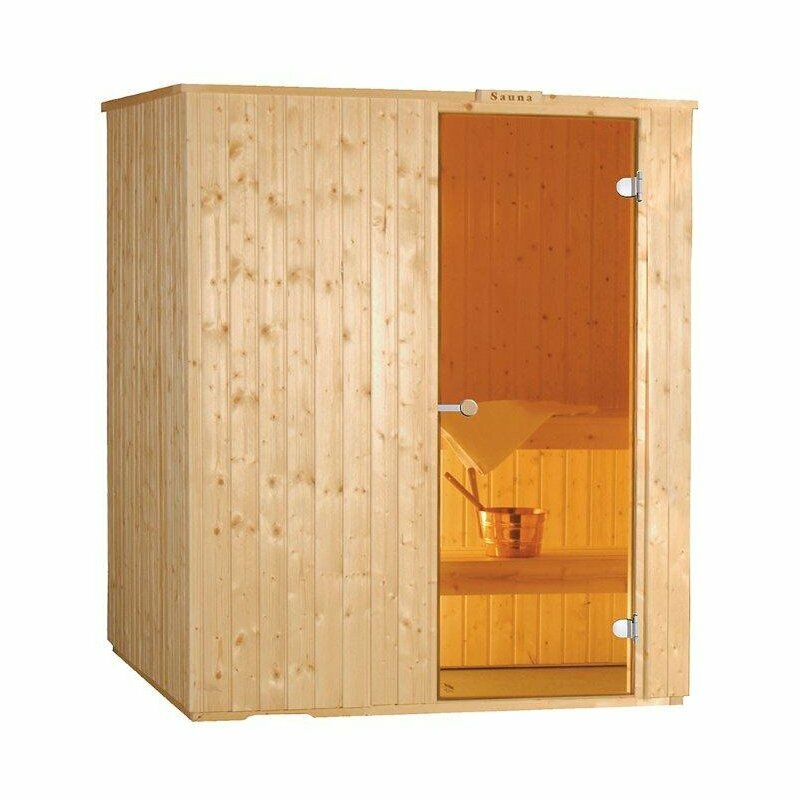 Considering the details of the reviews, the most recommended sauna is the Dynamic Infrared 2-3 Person Traditional Steam Sauna. It’s not only reasonably priced but also comes with a lot of features. The included therapy lighting system combined with the aroma of the red cedar wood enhances the mood of the users. To help you keep track of the time spent on it, it also comes with a built-in timer. Though it can only seat up to two people comfortably at a time, this can possibly make the social interaction more meaningful. Another product that should be considered is the Almost Heaven Saunas Weston 6 Person Electric Heater Sauna– that is if you are into pool parties and other social gatherings. This product can comfortably seat six people, and its aesthetic quality can also be a good conversation starter.